A modern technology and an ancient tradition come together into the fascinating Technema 95 Selula. 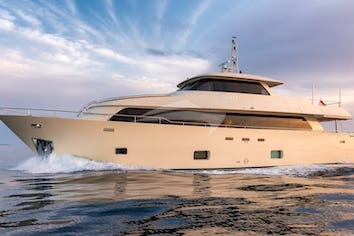 This yacht combines exclusive elegance, comfort and technology. The ship was designed by the architect Carlo Galeazzi and by the shipyard’s technical office. The Yacht Selula, a charter since May 2013, has been registered in 2005, has always been used as a private boat and has been perfectly maintained by the ship-owners. Its layout features a large living room on the main deck, with chairs and sofas, a kitchen and a separate crew dining area, and a large dining area forward. 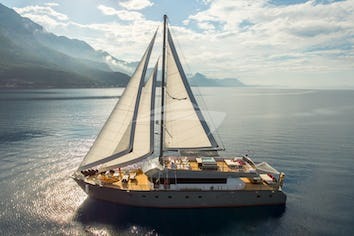 The lower deck is divided in 4 cabins, including the owner’s cabin aft with double bed and wardrobe, a VIP cabin at the bow with double bed, two twin-bedded cabins in the center, with the option to open a folding bed. All cabins have a private bathroom. 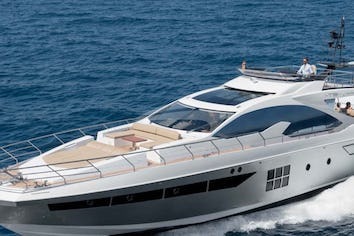 This yacht can host up to 10 sleeping guests (8 adults + 2 children) and 20 cruising guests. The flybridge is definitely large and has wide seats and sunbathing with a bimini allowing a large shaded area. The crew, consisting of the captain and 3 other people (sailor, cook and hostess), has a significant experience on board. The Yacht Selula is based in Gaeta (Rome).